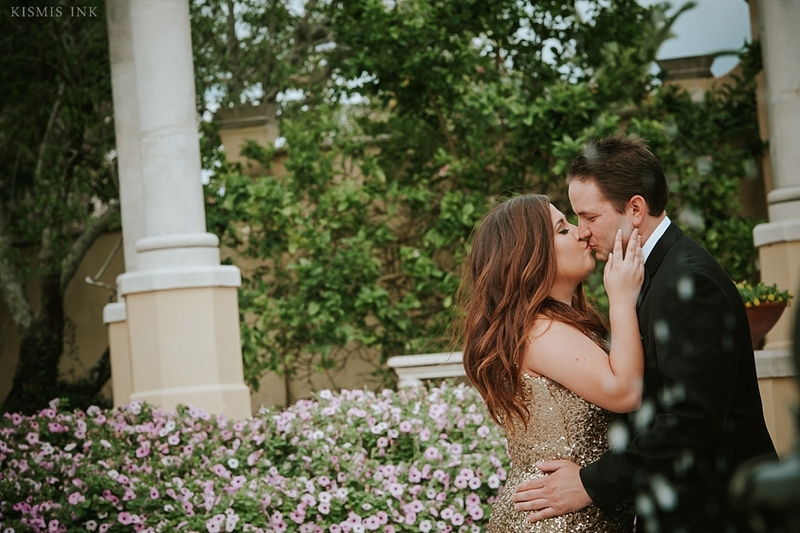 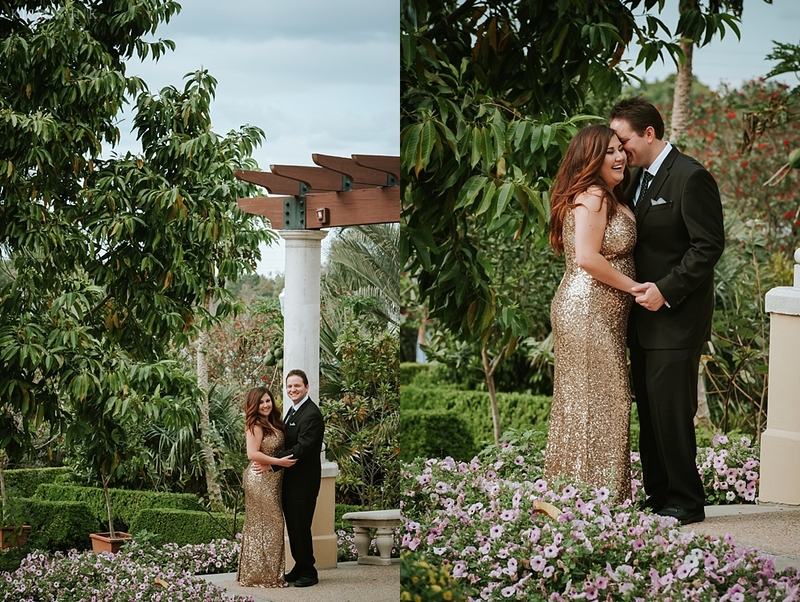 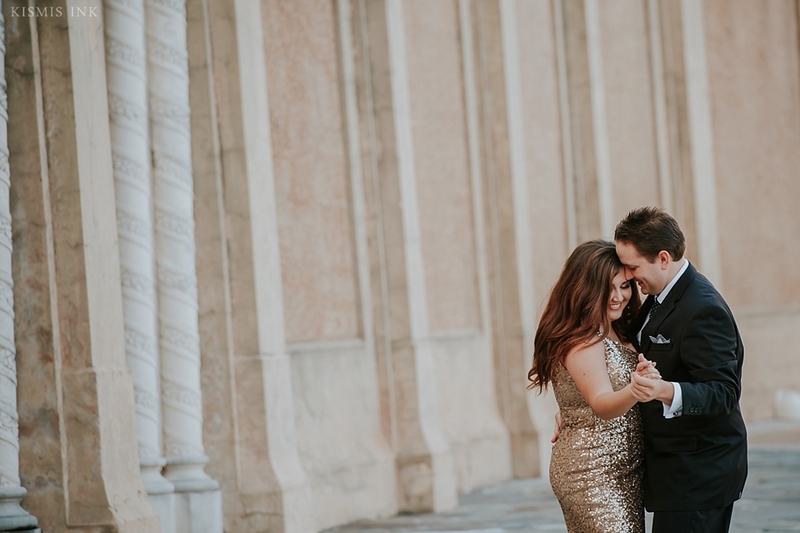 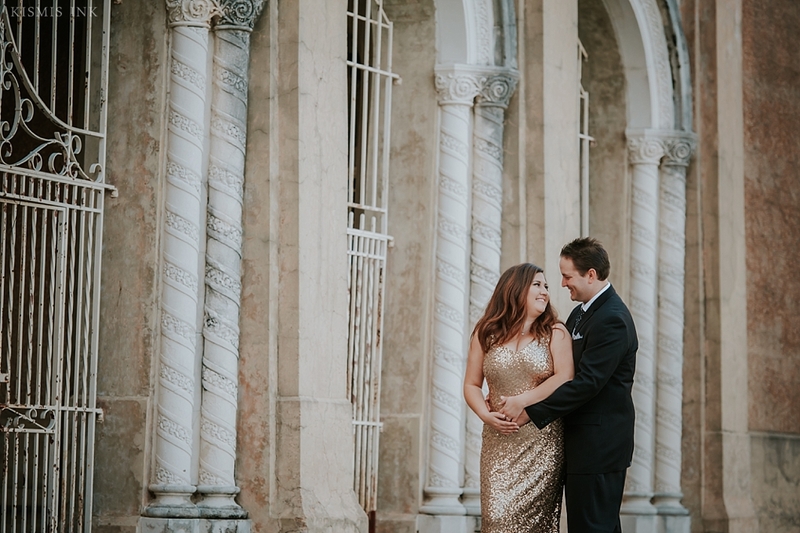 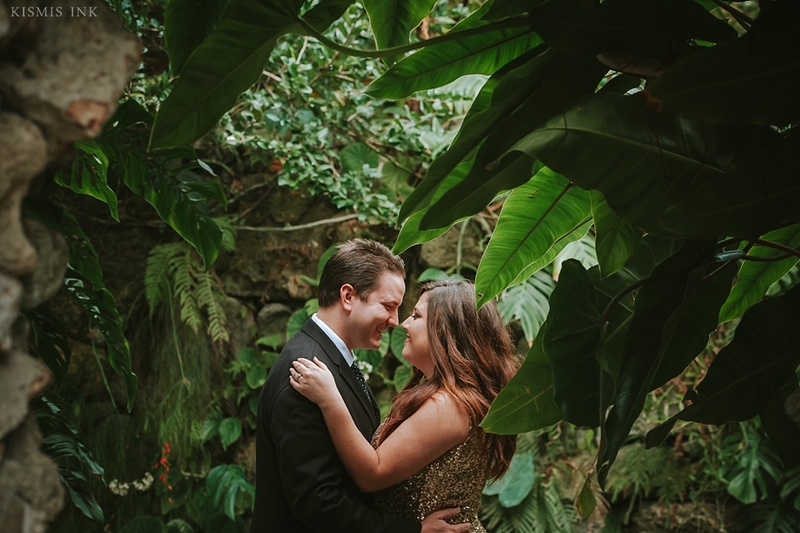 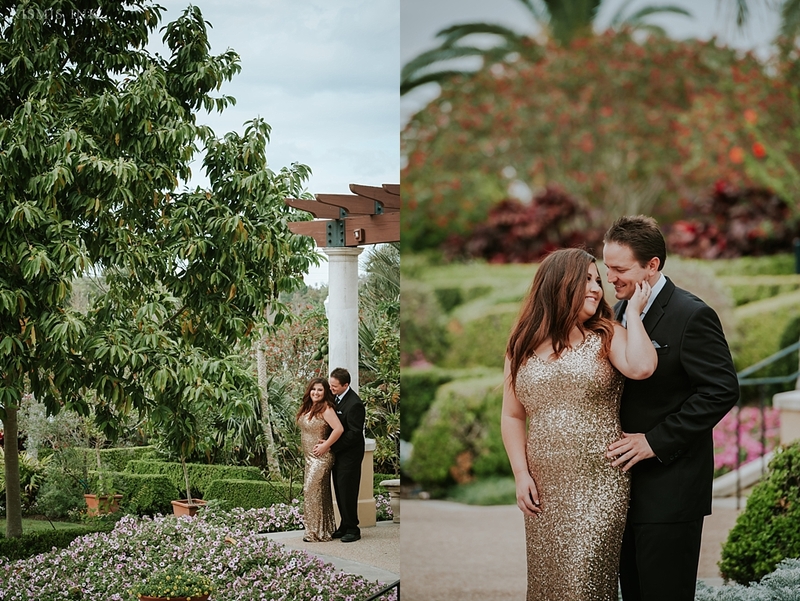 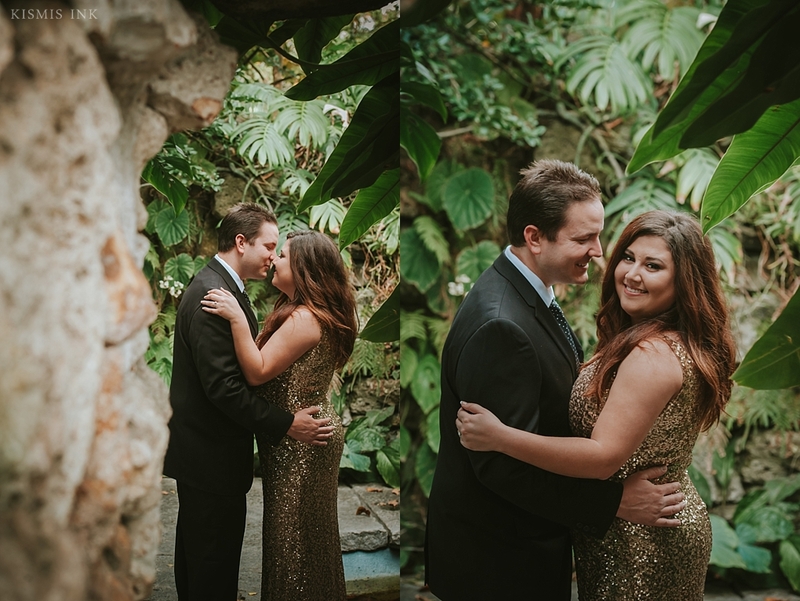 The Florida sun was shining through the fine mist of rain as Meagan and Greg danced their way through their engagement session at Hollis Garden, which will also be their wedding venue later this year. 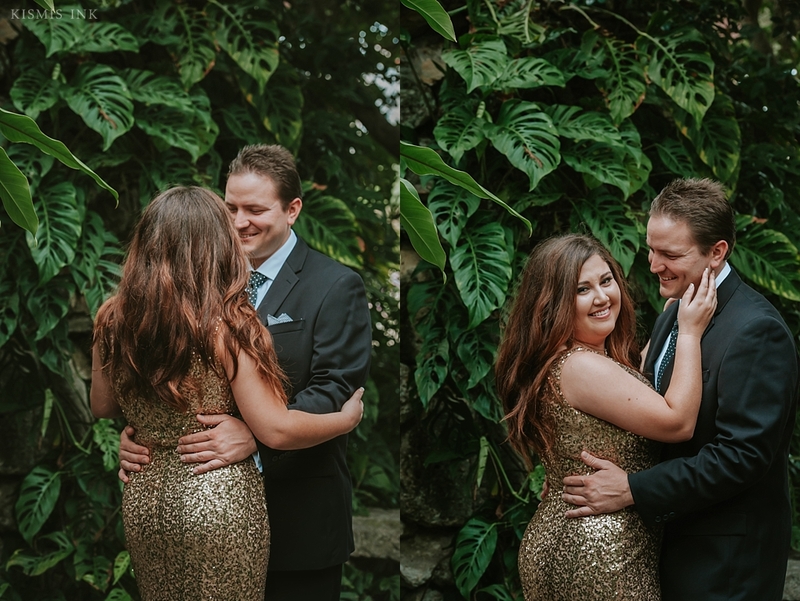 It was such a pleasure to photograph two of our close friends and document part of their love story. 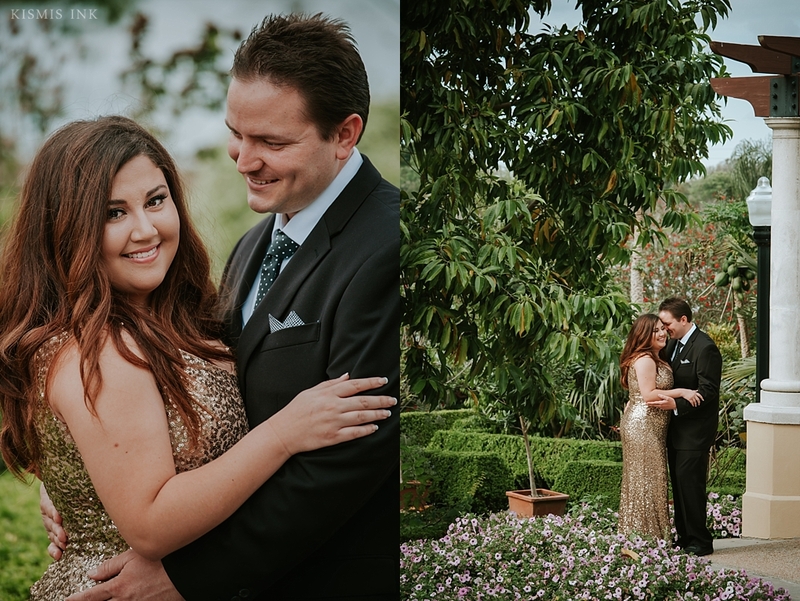 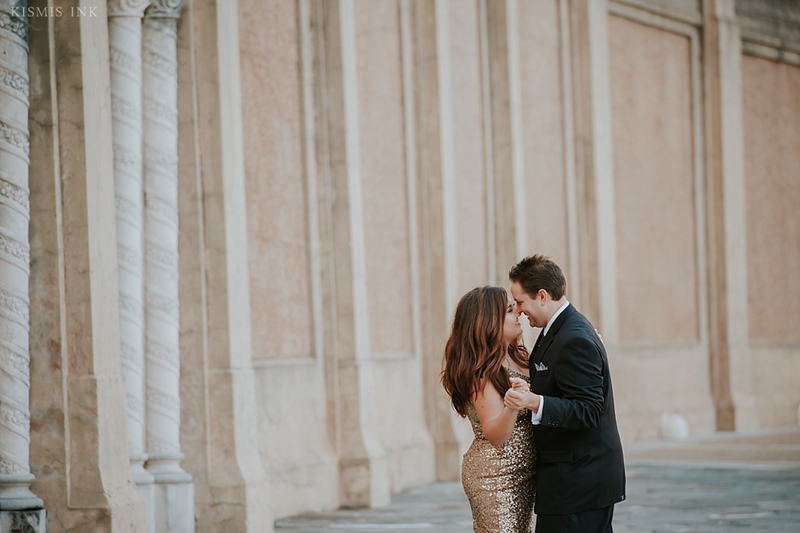 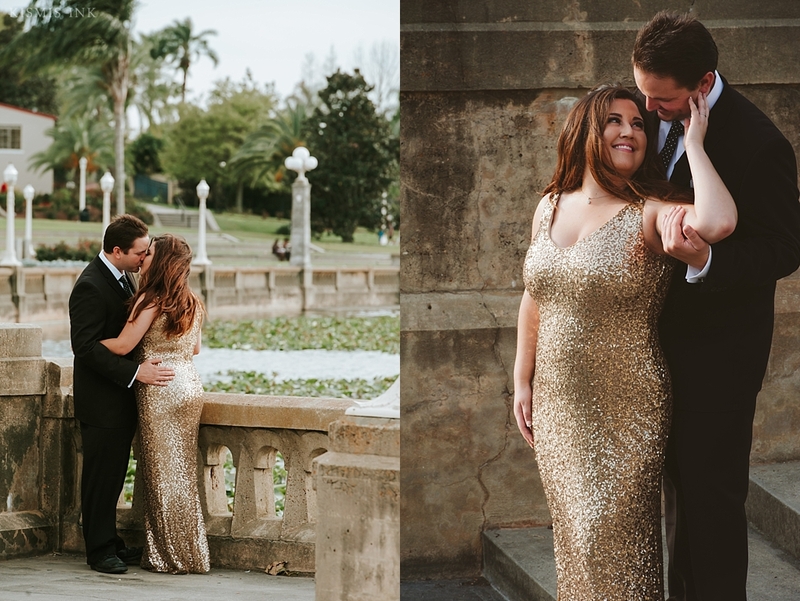 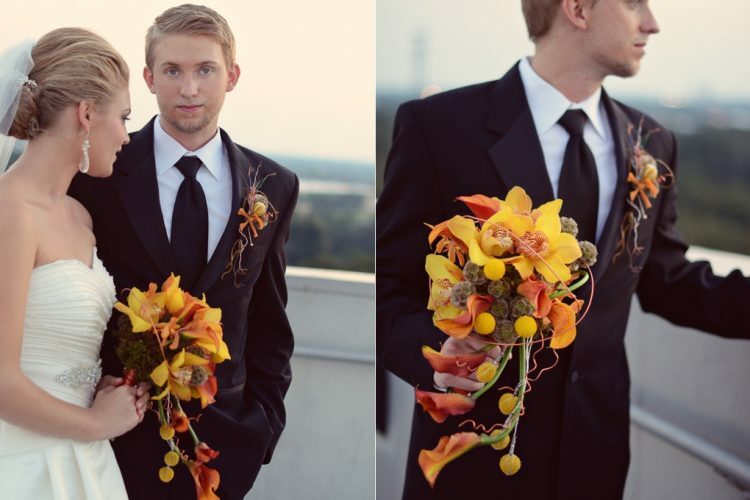 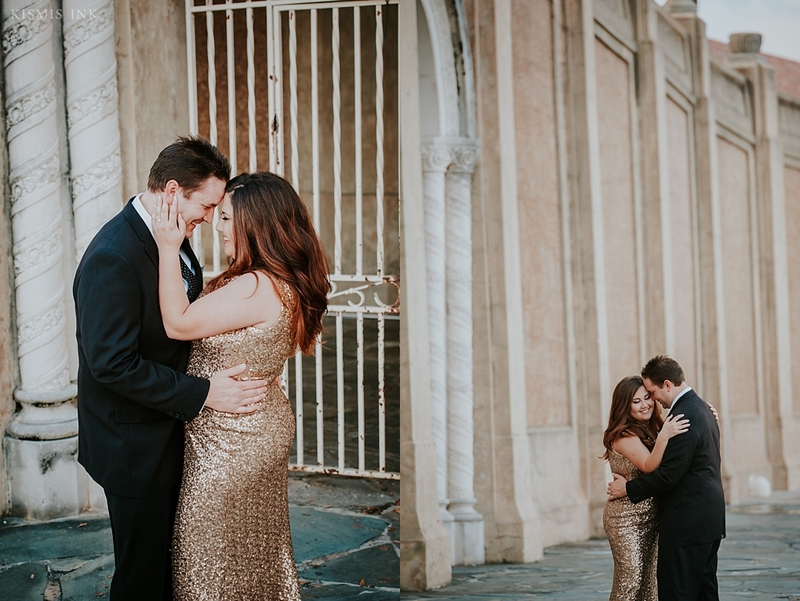 Meagan was breathtaking in her gold sequined gown, and Greg made a dapper companion in his stylish suit. 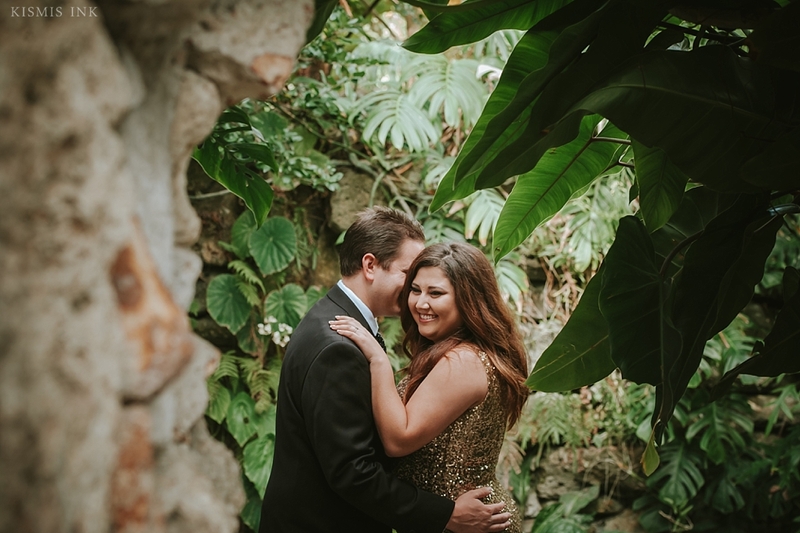 The garden made a beautiful backdrop, and we might as well have been in a tropical paradise. 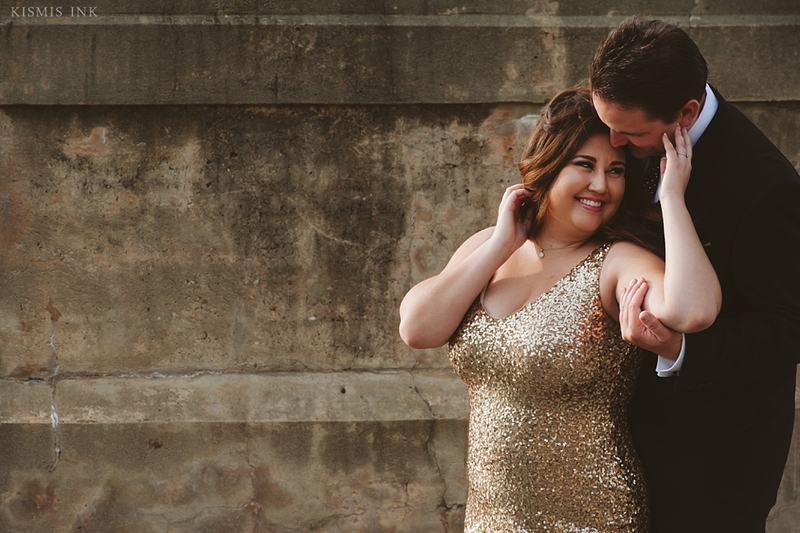 Meagan and Greg’s love was written all over their glowing faces and radiant laughter. 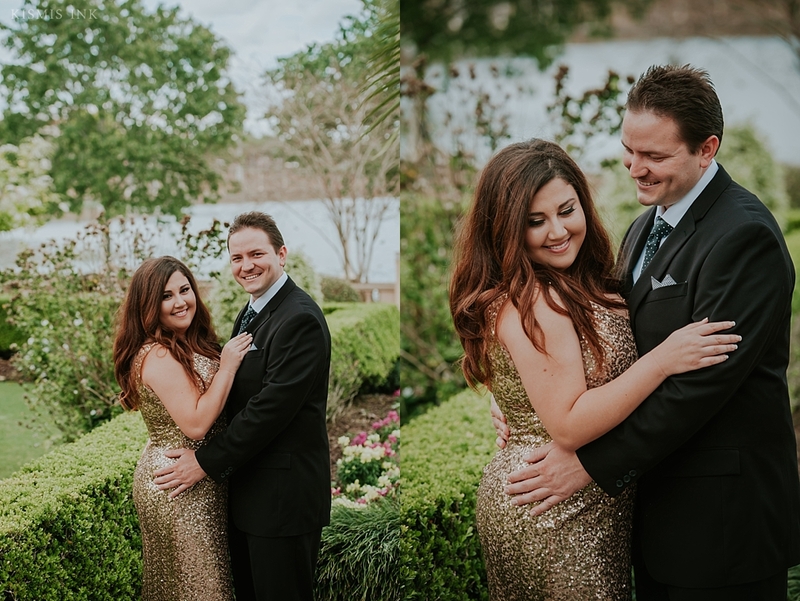 Meagan & Greg met in 2012 at work, and as fate would have it they became best friends after being paired as partners in several projects together. 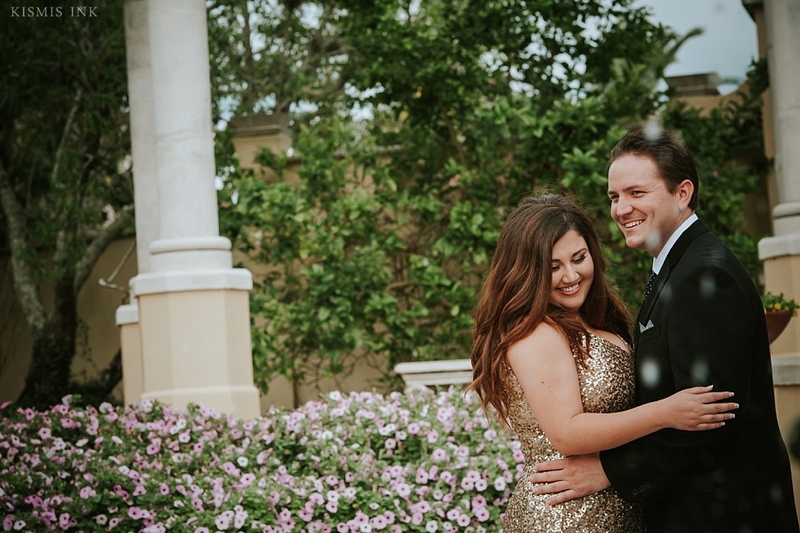 Greg’s great sense of humor and support won Meagan’s heart, and on Valentine’s Day, 2013, their friendship grew into something more. 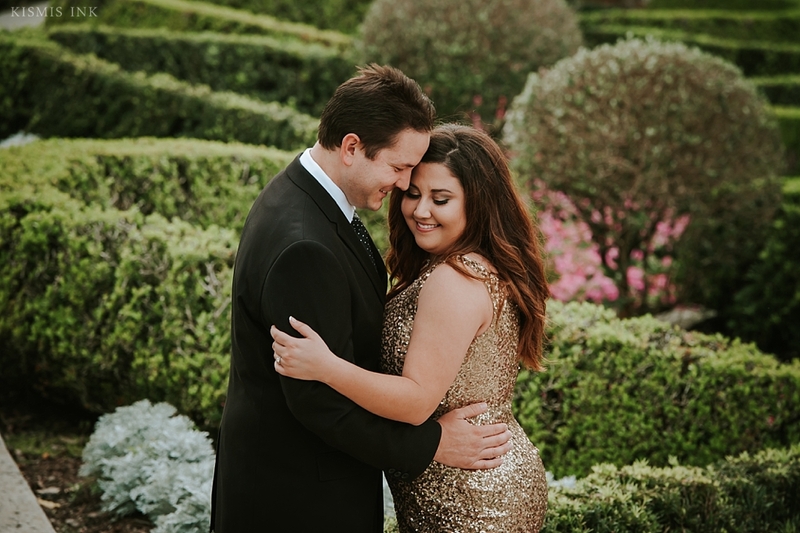 Greg asked Meagan out to the movies, and at an ice cream shop afterwards they talked for hours- today, Meagan describes them as inseparable and Greg as the man of her dreams. 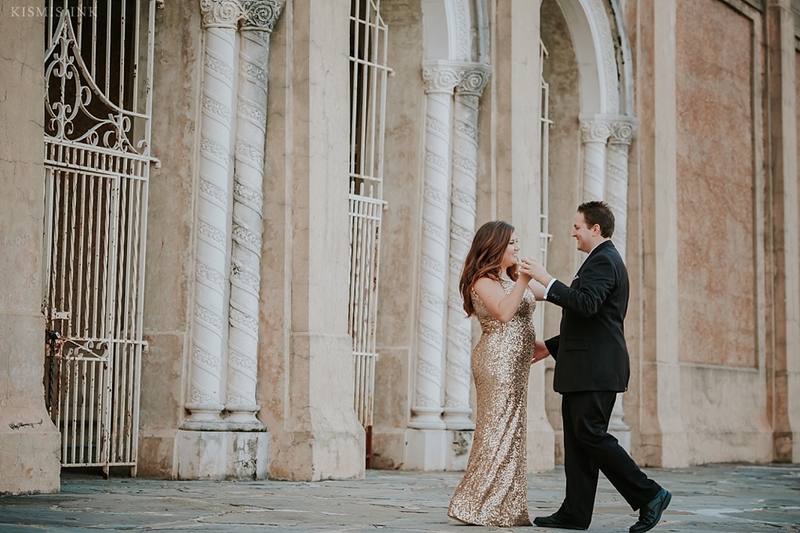 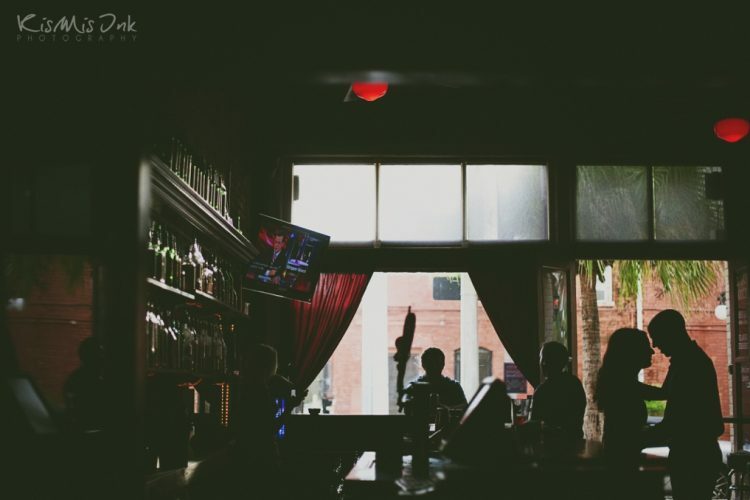 Together, they love taking their dog Lily out for walks, going to the movies, and visiting the arts district and beaches in St. Pete. 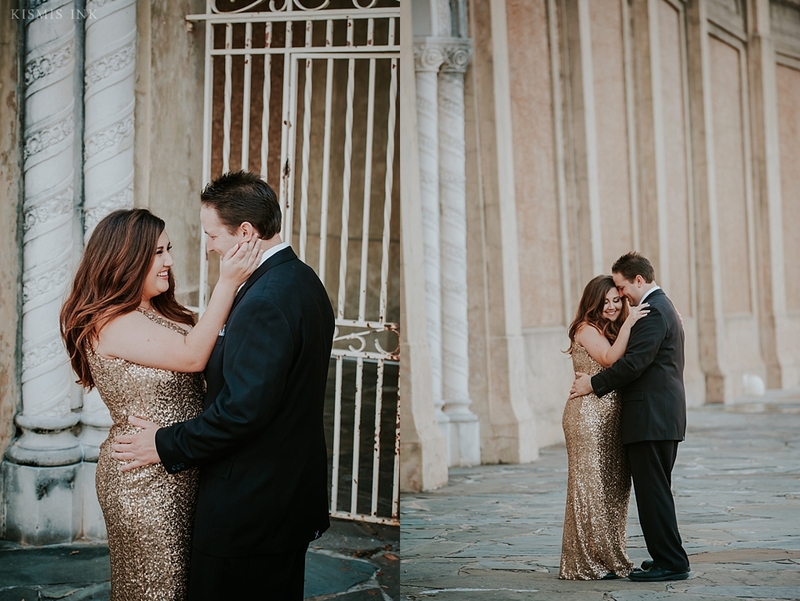 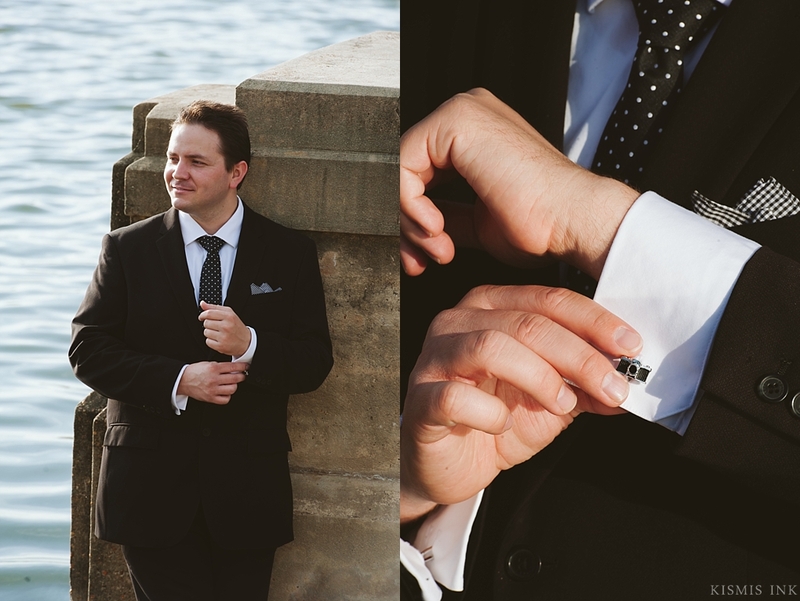 Meagan & Greg Engagement Session Highlights from Kismis Ink Photography on Vimeo.